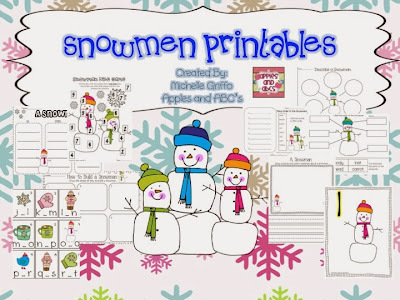 Winterlicious: Bundled Classroom Resources from Freebielicious! Winter is just around the corner! Freebielicious would like to help you get through the winter season with this amazing deal with Educents! Very excited to be a part of the bundle with Educents! 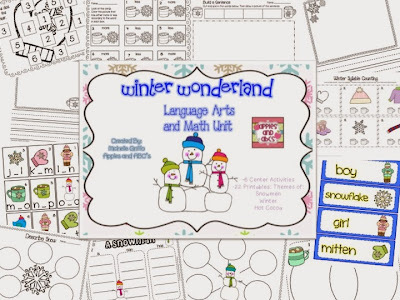 There are so many amazing products in the Educents bundle, and I will be sharing my Winter Wonderland: Math and Language Arts Unit! Pg. 25: Compare and contrast lemonade and hot cocoa. Includes vocabulary cards, where the students can record the words onto a recording sheet. Includes cards with different number sets on them (numbers 10-20). The students record how many objects are on the card and write down the number. What Number is in the Middle? What Letter is in the Middle? Students look at letter cards to record which letter is missing in the middle of each set. This includes three different activities or deciding if the picture cards have "more or less." Students will use the picture cards and sort them by the amount of syllables. Includes an assessment. Here are some more pictures from the Winter Wonderland Unit! There are 21 other products in our bundle to get your kids learning! Literacy, math, science, social studies, and so much more! Hop along to see all the goodies you will get! The next blog to visit is Kreative in Kinder! 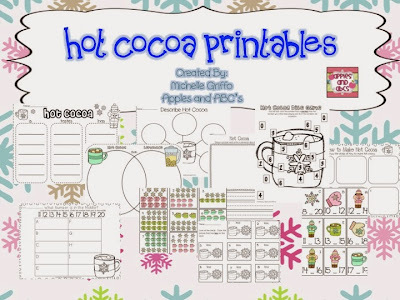 Check out the goodie she is adding to the Winter Bundle! This is one of my all time favorite units from you Michelle!!! I am totally NOT ready for winter, but your unit is adorable and I am sure it will put a smile on my face and my students face during these cold winter months! Holy Smokes! That packet is cocked full of goodies! Amazing Michelle!